*Lady Charlotte (Ladies of Disgrace) (Victorian Historical Romance Deal of the Day, Sponsor, She finds Albert to be a pompous aristocrat, who she spitefully decides to corrupt as he attempts to transform her character, As the two face off for battle, who will win the challenge) by Vicki Hopkins. Price: $0.99. Genre: Victorian Historical Romance Deal of the Day, Sponsor, She finds Albert to be a pompous aristocrat, who she spitefully decides to corrupt as he attempts to transform her character, As the two face off for battle, who will win the challenge. Rated: 4.3 stars on 8 Reviews. 222 pages. ASIN: B07B6WK9L7. *Kenyan Heat (Paranormal Romance of the Day, Sponsor, Step into the Darkin World, A post-apocalyptic world with magic, Romance, and adventure) by A. B. Robinette. Price: $0. Genre: Paranormal Romance of the Day, Sponsor, Step into the Darkin World, A post-apocalyptic world with magic, Romance, and adventure. Rated: 5 stars on 1 Reviews. 159 pages. ASIN: B07H4487XJ. 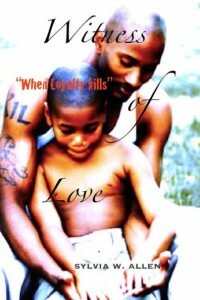 *Witness Of Love: “When Loyalty Kills” (Paperback) (African American Romance Deal of the Day, Sponsor, He has always wanted a family, But the loyalty he has for his friends jeopardizes his love for his family) by Ms. Sylvia W. Allen. Price: $35.00. Genre: African American Romance Deal of the Day, Sponsor, He has always wanted a family, But the loyalty he has for his friends jeopardizes his love for his family. Rated 4.8 stars on 10 review. 303 pages. ASIN: B07NXQX2KB. *The Scream Behind Her Smile (Steamy Romance Deal of the Day, Sponsor, An emotionally gripping novel of love and marriage and deception and murder) by Athena Daniels. Price: $0.99. Genre: Steamy Romance Deal of the Day, Sponsor, An emotionally gripping novel of love and marriage and deception and murder. Rated: 5 stars on 11 Reviews. 284 pages. ASIN: B07PDYYX2R. * For the Love of a SEAL (Steamy Military Romance Deal of the Day, Sponsor, Penguin, In choosing to protect her, he’s making himself vulnerable to a desire he thought he’d never feel again and an enemy he doesn’t see coming) by Dixie Lee Brown. Price: $3.99. Genre: Steamy Military Romance Deal of the Day, Sponsor, Penguin, In choosing to protect her, he’s making himself vulnerable to a desire he thought he’d never feel again and an enemy he doesn’t see coming. Rated: 4.5 stars on 11 Reviews. 318 pages. ASIN: B07FLXWHFT. *If She Were Blind (The After Twelve Series Book 1) (Steamy Romance Suspense of the Day, Sponsor, Romance Writers of America 2018 Finalist) by Laney Wylde. Price: $0. Genre: Steamy Romance Suspense of the Day, Sponsor, Romance Writers of America 2018 Finalist. Rated: 4.6 stars on 34 Reviews. 173 pages. Paperback version! ASIN: B07FY82KDJ. ***Cold Lonely Courage: Novel war (ENC.ROMANS) (Historical Thriller Deal of the Day, Sponsor, If you’re interested in WW2 history but hate to slog through endless battle details) by Soren Paul Petrek. Price: $7.49. Genre: Historical Thriller Deal of the Day, Sponsor, If you’re interested in WW2 history but hate to slog through endless battle details. Rated: 4.4 stars on 326 Reviews. 364 pages. ASIN: B07MTML6CJ. *Darkness in Malaga (Crime Thriller Deal of the Day, Sponsor, Set in Spain, A hunt for elusive people traffickers, A depraved entertainment is planned for the young victims) by Paul S Bradley. Price: $4.99. Genre: Crime Thriller Deal of the Day, Sponsor, Set in Spain, A hunt for elusive people traffickers, A depraved entertainment is planned for the young victims. Rated: 5 stars on 2 Reviews. 324 pages. Paperback version! ASIN: B07932Y6M4. *The Death of America (Crime Thriller Deal of the Day, Sponsor, The president knows the man to help him put a stop to the plot but he’s scheduled to die in a gas chamber) by Robert L. Stevens. Price: $3.99. Genre: Crime Thriller Deal of the Day, Sponsor, The president knows the man to help him put a stop to the plot but he’s scheduled to die in a gas chamber. Rated: 5 stars on 2 Reviews. 262 pages. Paperback version! ASIN: B0793TX17J. *Status: MISSING (Political Thriller Deal of the Day, Sponsor, Dozens of other airliners have gone missing without a trace, Is it coincidence or is there something sinister at work) by D.W. Maroney. Price: $5.99. Genre: Political Thriller Deal of the Day, Sponsor, Dozens of other airliners have gone missing without a trace, Is it coincidence or is there something sinister at work. Rated: 5 stars on 7 Reviews. 306 pages. Paperback version! ASIN: B07MWCKGT3. *Birth of an Empire: The Beginning (SciFi Thriller of the Day, Sponsor, Two minds, Four hearts, A sector at war) by Catrina Taylor. Price: $0. Genre: SciFi Thriller of the Day, Sponsor, Two minds, Four hearts, A sector at war. Rated: 4 stars on 62 Reviews. 364 pages. ASIN: B006GNXPJI. *Christianity A Successful Failure: Finding Faith in an Age of Fear and Falsehood (Christian Nonfiction Deal of the Day, Sponsor, Finding Faith in an Age of Fear and Falsehood) by Timothy M Spiess. Price: $4.49. Genre: Christian Nonfiction Deal of the Day, Sponsor, Finding Faith in an Age of Fear and Falsehood. Rated: 4 stars on 2 Reviews. 471 pages. ASIN: B07H74SRLN. *To Earth and Back (Christian Romance of the Day, Sponsor, Now a 19-year-old woman is trapped in a hopeless, life-threatening situation, The grief-stricken doctor goes before his ship’s council with an urgent plea) by William Boardman. Price: $0. Genre: Christian Romance of the Day, Sponsor, Now a 19-year-old woman is trapped in a hopeless, life-threatening situation, The grief-stricken doctor goes before his ship’s council with an urgent plea. Rated: 5 stars on 3 Reviews. 263 pages. ASIN: B079DG8NRV. *Wild Hearts: The Coming Night (Science Fiction Deal of the Day, Sponsor, A Tale of Survival and Friendship and Courage) by Andrew Wichland. Price: $2.99. Genre: Science Science Fiction Deal of the Day, Sponsor, A Tale of Survival and Friendship and Courage. Rated 4.5 stars on 6 review. 145 pages. Paperback version! ASIN: B07F43CY3F. *Shadow Life (Science Fiction Thriller Deal of the Day, Sponsor, Complex Political Arrangements, Fascinating New Technologies, Someone trying to kill Hans Ricker and his sister) by Jason Mather. Price: $1.99. Genre: Science Fiction Thriller Deal of the Day, Sponsor, Complex Political Arrangements, Fascinating New Technologies, Someone trying to kill Hans Ricker and his sister. Rated: 4.5 stars on 22 Reviews. 306 pages. Paperback version! ASIN: B077BWJ3RS. *Elji and the Galrass (Science Fiction Deal of the Day, Sponsor, A tool of power, a struggle for the survival of the world, a being from a different galaxy, can one boy tap into his power and save the world) by Colin Sinclair. Price: $3.99. Genre: Science Fiction Deal of the Day, Sponsor, A tool of power, a struggle for the survival of the world, a being from a different galaxy, can one boy tap into his power and save the world. Rated 4 stars on 3 review. 197 pages. Paperback version! ASIN: B07DZJ6LRZ. *Smiling Ghosts: A thrilling adventure with dangerous extraterrestrials among us! (Science Fiction Deal of the Day, Sponsor, Fantastical characters with personality and wit, you can’t help but like them even if they are being monsters) by Bridgette Ehly. Price: $0.99. Genre: Science Fiction Deal of the Day, Sponsor, Fantastical characters with personality and wit, you can’t help but like them even if they are being monsters. Rated: 5 stars on 6 Reviews. 365 pages. ASIN: B07HNFKV7S. *Another Day, Book 1 (Delta Flight) (Science Fiction Adventure Deal of the Day, Sponsor, A race to hide the flight, Delta Flight’s world is forever changed) by Terry A Perrine, Brian Paone. Price: $3.99. Genre: Science Fiction Adventure Deal of the Day, Sponsor, A race to hide the flight, Delta Flight’s world is forever changed. Rated: 5 stars on 1 Reviews. 211 pages. Paperback version! ASIN: B07PJ57S19. *The Other Side of Now (Science Fiction Deal of the Day, Sponsor, Speculative Science Fiction) by Max Meyer. Price: $2.99. Genre: Science Fiction Deal of the Day, Sponsor, Speculative Science Fiction. Rated: 5 stars on 1 Reviews. ASIN: B07QDJR8QQ. ***The Wild Hunt (Faerie Sworn, #1) (Fantasy of the Day, Sponsor, Mythology) by Ron C. Nieto. Price: $0. Genre: Fantasy of the Day, Sponsor, Mythology. Rated: 4.4 stars on 143 Reviews. 308 pages. ASIN: B00KO76LC0. *Awakening (The Euphorian Era Trilogy, #1) (New Age Science Fiction Deal of the Day, Sponsor, What if you discovered that the harder the obstacles in your life, the greater your destiny is) by Michael Estafo, Sabrina Estafo. Price: $0.99. Genre: New Age Science Fiction Deal of the Day, Sponsor, What if you discovered that the harder the obstacles in your life, the greater your destiny is. Rated: 4.6 stars on 19 Reviews. 292 pages. ASIN: B07P5TN3H6. *For Beau: The Sarah Ashdown Story (Historical Fiction Deal of the Day, Sponsor, It took just one bomb to make one woman realize her true destiny) by Simon Gandossi. Price: $4.99. Genre: Historical Fiction Deal of the Day, Sponsor, It took just one bomb to make one woman realize her true destiny. Rated: 4.5 stars on 6 Reviews. 406 pages. Paperback version! ASIN: B079665D3J. *Forgotten By the Sun (Young Adult Fantasy Deal of the Day, Sponsor, A Mysterious Intruder into her world has captivated Amika, Will she take the risk and step into a whole new reality) by Celeste Eismann. Price: $0.99. Genre: Young Adult Fantasy Deal of the Day, Sponsor, A Mysterious Intruder into her world has captivated Amika, Will she take the risk and step into a whole new reality. Rated: 4 stars on 5 Reviews. ASIN: B07MZ5VSDK. *Lumen and the Thistle (YA Fantasy of the Day, Sponsor, Quest to find meaning to the panel of lights that he sees and other can’t) by EJ Wozniak. Price: $0. Genre: YA Fantasy of the Day, Sponsor, Quest to find meaning to the panel of lights that he sees and other can’t. Rated: 4.9 stars on 19 Reviews. 249 pages. ASIN: B07LDHM4QL. *Dragon Knight Chronicles: The Awakening (Children’s Fantasy Deal of the Day, Sponsor, Lord of the Rings) by Andrew Wichland. Price: $2.99. Genre: Children’s Fantasy Deal of the Day, Sponsor, Lord of the Rings. Rated 4.3 stars on 17 review. 122 pages. Paperback version! ASIN: B01GAFBQGA. *The Stories of a Little Town (Literary Fiction Deal of the Day, Sponsor, Where’s Little River located) by Gigi Mera. Price: $3.99. Genre: Literary Fiction Deal of the Day, Sponsor, Where’s Little River located. Rated: 4.4 stars on 7 Reviews. 120 pages. Paperback version! ASIN: B079YJSHMP. *108 BUDDHIST PARABLES AND STORIES (Literary Fiction Deal of the Day, Sponsor, Mix of facts, Legends and folk stories) by Olga Gutsol. Price: $0.99. Genre: Literary Fiction Deal of the Day, Sponsor, Mix of facts, Legends and folk stories. Rated: 5 stars on 1 Reviews. 241 pages. ASIN: B07PY4QNSV. *Unfinished Business (African American Fiction Deal of the Day, Sponsor, Her father does something unforgivable to her) by Lacrecia Hillis. Price: $2.99. Genre: African American Fiction Deal of the Day, Sponsor, Her father does something unforgivable to her. Rated: 5 stars on 1 Reviews. 23 pages. ASIN: B07QB9M78M. *Live True: A Mindfulness Guide to Authenticity (Nonfiction Deal of the Day, Sponsor, What we believe we become, secret to understanding in total awareness and in the present moment) by Ora Nadrich, PhD Ronald A. Alexander (Foreword by). Price: $17.95. Genre: Nonfiction Deal of the Day, Sponsor, What we believe we become, secret to understanding in total awareness and in the present moment. Rated 5 stars on 47 review. ISBN: 0578432102. *Nacer con estigma, vivir con alegría (Motivational Self Help Deal of the Day, Sponsor, Spanish, Non Fiction, Autoayuda y Desarrollo Personal) by Bernardo García. Price: $15.99. Genre: Motivational Self Help Deal of the Day, Sponsor, Spanish, Non Fiction, Autoayuda y Desarrollo Personal. Rated 5 stars on 1 review. 185 pages. ASIN: B07NF3V7Q6. *Emotional Dimensions of Healthcare (Non Fiction Health and Wellness Deal of the Day, Sponsor, Understand the Correlation between our emotions and our health, Written by the CEO of an award winning Non Profit Human Service Agency) by David Woodlock. Price: $3.99. Genre: Non Fiction Health and Wellness Deal of the Day, Sponsor, Understand the Correlation between our emotions and our health, Written by the CEO of an award winning Non Profit Human Service Agency. Rated 5 stars on 1 review. 254 pages. Paperback version! ASIN: B072397JM4. *Departure From Indifference: Probing the Framework of Reality (Non Fiction Deal of the Day, Sponsor, Finding a Framework of Reality, Can we Reach outside our current level of understanding) by Octavio A. Melo. Price: $2.99. Genre: Non Fiction Deal of the Day, Sponsor, Finding a Framework of Reality, Can we Reach outside our current level of understanding. Rated: 5 stars on 1 Reviews. 84 pages. ASIN: B07P6MQQNW. *I Was a Teenage JFK Conspiracy Freak (Nonfiction Deal of the Day, Sponsor, The JFK Assassination, A look at how the Soviets tried to influence American public opinion that CIA was behind the murder) by Fred Litwin. Price: $2.99. Genre: Nonfiction Deal of the Day, Sponsor, The JFK Assassination, A look at how the Soviets tried to influence American public opinion that CIA was behind the murder. Rated: 4 stars on 14 Reviews. 274 pages. ASIN: B07HBS6QY4. *The Soulful Leader: Success with Authenticity, Integrity and Empathy (Non Fiction Deal of the Day, Sponsor, Business Leadership Guide, Business Nonfiction, A practical and inspirational guide to help industry leaders motivate employees to realize their full potential) by Arthur P. Ciaramicoli. Price: $8.99. Genre: Non Fiction Deal of the Day, Sponsor, Business Leadership Guide, Business Nonfiction, A practical and inspirational guide to help industry leaders motivate employees to realize their full potential. Rated: 4 stars on 5 Reviews. 131 pages. ASIN: B07N8YG5J1. *Helping Effortlessly: A Book of Inspiration and Healing (Paperback) (Nonfiction Deal of the Day, Sponsor, It begins with diet, delves into deep self-reflection, and ends in a place of profound self-love) by Jenn Bruer. Price: $12.99. Genre: Nonfiction Deal of the Day, Sponsor, It begins with diet, delves into deep self-reflection, and ends in a place of profound self-love. Rated: 5 stars on 1 Reviews. ASIN: B07MNXTJDS. *Leadsology: Marketing The Invisible (Business Nonfiction Deal of the Day, Sponsor, Create a predictable stream of potential clients for your business) by Tom Poland. Price: $9.99. Genre: Business Nonfiction Deal of the Day, Sponsor, Create a predictable stream of potential clients for your business. Rated: 5 stars on 2 Reviews. 330 pages. ASIN: B07H4CQLW6.